Chancellor Ron Galatolo used public money on multiple occasions to pay for alcohol during meals and business trips, violating a policy expressly prohibiting the purchase of alcohol with the San Mateo County Community College District’s credit card. The chancellor of the San Mateo County Community College District bought alcohol with public money, a policy violation, according to records obtained by the NBC Bay Area Investigative Unit. After combing through expense reports submitted by District Chancellor Ron Galatolo between 2012 and fall of 2014, the NBC Bay Area Investigative Unit uncovered hundreds of dollars in alcohol purchases charged to Galatolo’s district issued procurement card, in violation of district rules and regulations. According to this policy, "an employee is NOT authorized to use the procurement card for: personal purchases, alcohol, firearms, and jewelry" among other things. Galatolo, whose salary is listed at $304,446 for 2014, is charged with overseeing 42,000 students at three community college campuses: Canada, Skyline and the College of San Mateo. The alcohol purchases were not immediately clear based on the receipts submitted by Galatolo. Despite additional district rules requiring the submission of "original detailed receipts," records show on multiple occasions where alcohol was purchased, Galatolo only provided the district with lump sum hotel folios or restaurant bills. It was only after the Investigative Unit did further research outside the district and obtained itemized bills that the frequency of alcohol purchases surfaced. 7/7/12: At a lunch "with athletic directors re Fitness Centers" at Kingfish in San Mateo, receipts show Galatolo purchased one Stella draft beer, and a Stone IPA beer, $6 each. 10/23/12: At a dinner in Riverside, records show Galatolo purchased one bottle of La Spinetta Nebbiolo wine for $57. 7/28/13: At a team dinner for 14 attendees at Mon Ami Gabi in Las Vegas, receipts show Galatolo purchased eight glasses of wine ranging in price from $11.50 to $12.95, and eight French martinis, $12.95 each. He did not submit an itemized receipt to the district for this dinner, which totaled $978.27, or $69.87 per person. 7/30/13: During a business trip to the Wynn in Las Vegas, receipts show Galatolo charged two mojitos from the Cabana Pool Bar, $15 each, to his hotel room. The mojitos did not appear on any records submitted to the district. 2/27/14: During a business trip to San Diego, receipts show Galatolo also charged alcohol to his hotel room, including two glasses of GL BV Tapestry wine $16 each, one Pinot Noir $13, and $100 Rubicon Cask bottle of wine at the Acqua restaurant at the Hilton San Diego. None of the alcohol appeared on receipts he submitted to the district. 5/20/14: During a lunch with Trustee Karen Schwarz and her husband Frank, Galatolo purchased a 16-ounce beer for $9 at The Refuge restaurant, which "boasts the most Belgian ales on draught" in the Bay Area. 11/15/14: During a trip to Vietnam, Galatolo purchased $22.04 in beer at a business lunch, according to receipts from the Renaissance Riverside Hotel Saigon. It’s not clear whether or not Galatolo bought alcohol during other meals and business trips. The district paid for other meals Galatolo charged to his hotel rooms during stays at the Ahwanee Lodge in Yosemite and the Hyatt Regency in Monterey, as well as restaurants including McCormick & Schmick’s, Central Park Bistro, Sushi Kuu, Town, Cheesecake Factory, The Little Store, Amourath 1819, and Shiki. Galatolo did not submit itemized receipts for those events, and they were not available for analysis by the Investigative Unit. The Investigative Unit also found the chancellor regularly dines on the district dime at pricy restaurants like Kincaid’s, Left Bank, Vivace, The Village Pub, and Town. A review of expenses for other Bay Area college districts reveal many administrative meetings at fast casual restaurants such as La Boulanger and Goldilocks, even one at a McDonald’s. The Investigative Unit’s research found no other records showing chancellors bought booze with public money. The chancellor declined a request for an interview to discuss his expenses, saying he would only be willing to speak to NBC Bay Area in a "live, unedited broadcast interview." 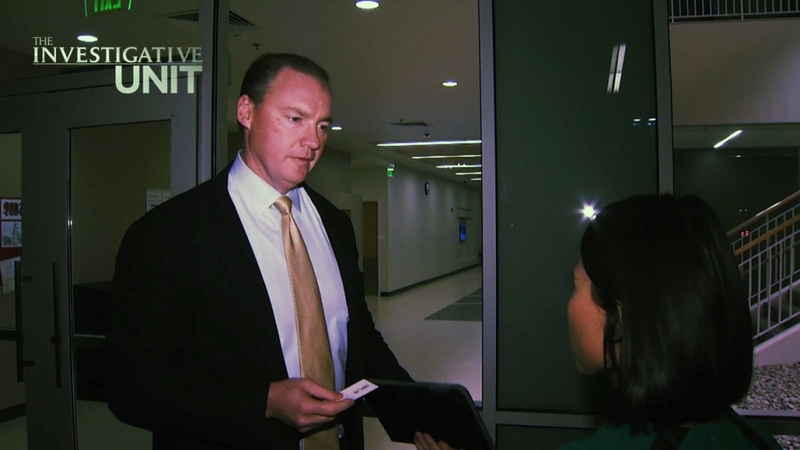 The station eventually agreed, but after two business days of no response to emails asking to schedule the interview, the Investigative Unit caught up with the chancellor before a public board meeting. In responses that alternated between criticizing the station for reporting on his expenses, because "it must be an incredibly slow news day," and calling the Investigative Unit "unprofessional" for questioning him, the chancellor reiterated multiple times his sentiment that, "In the grand scheme of things these things are absolutely petty. I mean they're absolutely petty." Galatolo said he’s responsible for an organization of 7,000 employees and a budget of several billion dollars. But during the course of the interview, Galatolo contradicted himself multiple times with regards to his knowledge of the policies governing the usage of the credit card. In the span of less than a minute, the chancellor first said "Absolutely, absolutely that’s true," when presented with the verbiage of the policy reading "an employee is not authorized to use the procurement card for…alcohol." He then said, "I don’t know if this is actually our current policy," later backtracking when told the policy, dated March 2014, was in effect during many of his purchases. "I’m just saying I don’t know the timing," Galatolo said. He finally landed on the assertion that he didn’t know the policy at all. When asked, "Is it against your policy to purchase alcohol with the district business card?" Galatolo replied, "To my knowledge no." And when asked if he was aware of the policy before NBC Bay Area showed it to him, Galatolo responded, "No I was not aware of that policy before you showed it to me." Galatolo first denied he bought mojitos on the district card, but when presented with the receipt indicating the drinks were charged to his room, he insisted he paid the district later, "I guarantee you if I bought those, I guarantee you then they were reimbursed." Galatolo said he would produce proof of those reimbursements, but he has not. While Galatolo’s responses may have been confusing, student reaction was clear. "People in power abuse their power. They feel they don’t have to adhere to the rules sometimes," said radiology student Rikia Noble. "His character can’t be too great if he feels like it’s not important." Roberto Alvarado, who works to put himself through school as he studies electronics, said, "To him, it’s petty. For people who are struggling, working, going to school to make a living, we’re either on loans or working part-time or working full-time. He shouldn’t feel he can take advantage wherever he wants." Some students want repercussions for the chancellor’s actions. "He should get fired," said administration of justice student Ramona Selui. The card policy says, "Purposeful or habitual misuse of the card will subject the employee to discipline or dismissal or prosecution," and the "card may be revoked for any of the following reasons" including the purchase of "alcoholic beverages." But the Board of Trustees doesn’t have a problem with how Chancellor Galatolo is spending public money. Emails to the board members and student trustee were fielded by one response from Board President Patricia Miljanich. She refused to answer questions, but emailed a statement on behalf of the board, saying, "I have reviewed the expenditures and it is clear to me that all the expenditures made by the Chancellor are within the general parameters of what the Board expects of the Chancellor. I also believe that my colleagues on the Board would agree with me." "I think alcohol is restricted because the public is conflicted about it and I think that's fair," said Lisa Keegan, former Arizona superintendent of public instruction and senior policy advisor on education for Senator John McCain. Keegan said it’s a common policy to ban the purchase of booze on a public credit card. That doesn’t mean leaders can’t purchase their own drink with dinner or pay for a client’s drink. But they can’t make the purchase with public funds. Keegan says the board should put it in the policy if they believe Galatolo’s spending is acceptable. "You have to ask yourself, if we asked that in a public meeting, would everybody go, ‘Oh sure you make $300,000 but sure, charge us for your bottle of wine at dinner?’" Keegan said. "I think the public doesn't generally say that's OK because that's not what most people have the means to do, and they feel like the money that they're giving you to do your job is really valuable to them and they want you to steward it very carefully." 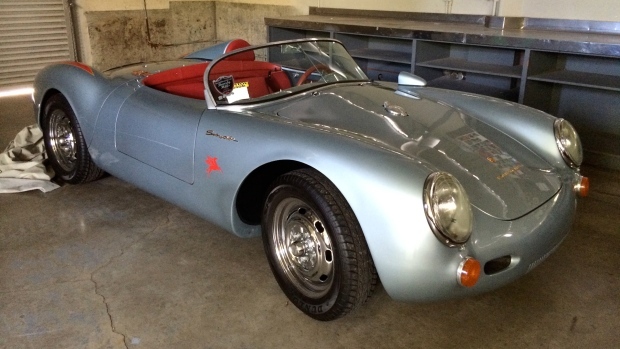 This is a photo sent to the Investigative Unit that appears to show a Porsche replica stored in Building 20 on the College of San Mateo campus. The car had what appears to be a temporary registration belonging to a different vehicle, a Hyundai Sonata leased by the district, taped to the windshield. NBC Bay Area could not independently verify the photo. Questions about Galatolo’s spending surfaced after he was spotted driving a silvery blue Porsche replica, or "kit car," on campus. Photos sent to the Investigative Unit show the car parked in Building 20 on the College of San Mateo campus. It appeared a temporary DMV registration was taped to the windshield, and a closer look at the photo of the registration appeared to show the car was "sold to the San Mateo County Community College District." This is a photo sent to the Investigative Unit that appears to show the temporary DMV registration that was taped to the windshield of the Porsche replica. NBC Bay Area could not independently verify the photo. The Investigative Unit tracked the VIN on the tag back to one of the district’s leased cars, a Hyundai Sonata. Attempts to independently verify the photos were unsuccessful, but sources who asked not to be identified for fear of retaliation tell the Unit Galatolo regularly drove the car. Galatolo denied owning the car and said it belonged to a friend. He admitted he allowed a friend to park the car on campus for a short period of time while it was being registered. He said he was not "quite too sure how" the district registration got onto the car. "The reason it was parked here is because it's an open-air car," Galatolo said, "and it needed coverage because it was going to be raining." Student Roberto Alvarado thinks it’s a favor that shows Galatolo is out of touch. "I have to pay $52 for my sticker. I have to pay for my parking. Everyone should follow the rules. If I don’t, I get a ticket." Alvarado summed up his feelings about chancellor Galatolo’s treatment of the car and his buried expenses: "He’s top of the food chain. He feels he can do what he wants because he’s untouchable." If you have a tip for the Investigative Unit email Vicky Nguyenvicky@nbcbayarea.com or you can email theunit@nbcbayarea.com or call 888-996-TIPS.